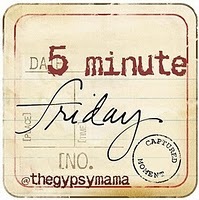 I'm joining The Gypsy Mama for Five Minute Friday. This is when we write for 5 minutes without over-thinking or changing what we've written. Lisa-Jo provides the word and other writers link up their "word-of-the-day" posts. I think my writing is getting better because of this free-style exercise! Today's word is: LOUD. We just got back from a trip to New York City. NYC is the city that never sleeps. It is also the city that is totally loud. Before I write these prompts, I usually look at Lisa-Jo's site and see what the word is. I read the word only and then think about what I might say. Last night I saw that today's word was loud. I told that to Anthony. He immediately said, "Subways are loud." I started going through pictures this morning. Lots of places we visited in NYC were loud but it wasn't just the volume. Times Square is loud visually and mentally. There are billboards and flashing signs everywhere. Wherever you look there is a giant ad screaming at you: LOOK AT ME! 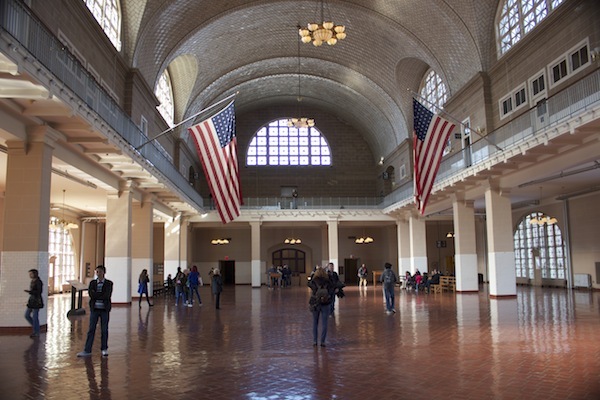 When we went to Ellis Island, we paid to get the headphone tour. The tour prompted you to stand in the middle of the great room upstairs where all of the people went to be checked. It was loud in that room. The subways were loud. When the trains came barreling down the tracks, they were even louder. 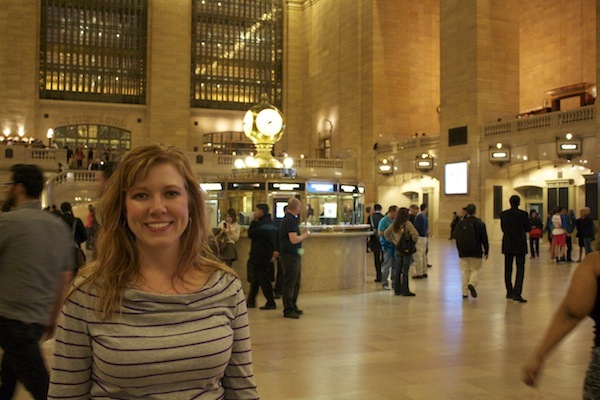 We visited Grand Central Station. It was loud and there was a constant movement. I don't even know if the trains were coming or going, but the people sure were. So when I might be tempted to think that loud is everywhere, the place that I often think of it is my mind. I want to be the opposite of loud (quiet) so that I might hear what the quiet voice of Jesus is saying to me.